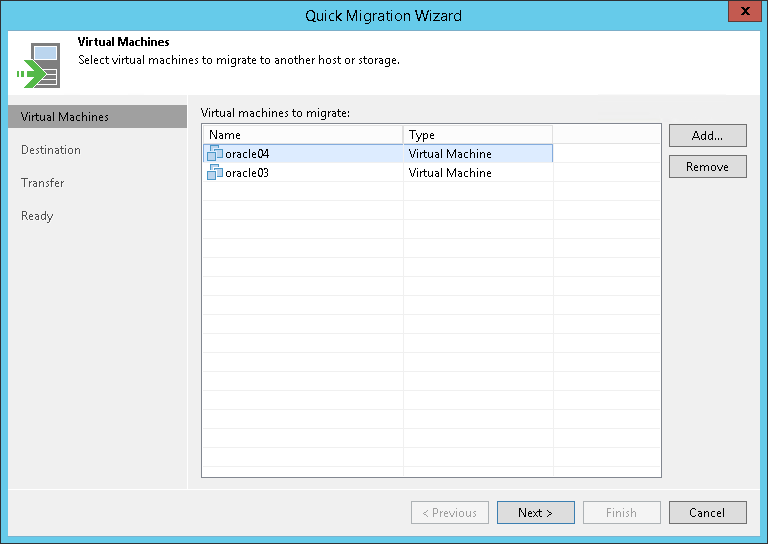 At the Virtual Machines step of the wizard, select the VMs and VM containers that you want to relocate. Select the necessary object and click Add. Click the button to the left of the search field and select the necessary type of object to search for: Everything, Folder, Cluster, Host, Resource pool, VirtualApp or Virtual machine.